National Association for Debt Education & Assistance is here to help when debt has you down. If you feel overwhelmed by debt, see how N.A.D.E.A. can help you with solutions like credit counseling, credit card consolidation, budgeting classes, and more. Our Certified Financial Counselors are standing by ready to help. We are a personalized non-profit organization with over 50 years of experience providing financial counseling and education services. The certified credit counselors at N.A.D.E.A. have helped hundreds of thousands of clients regain control of their lives through financial education and stability. We design options for each individual client based on their unique financial situations. N.A.D.E.A. is located in Glenview, Illinois and counsels clients throughout the United States. Our Certified Financial Counselors provide free consultations that include a budget analysis and open dialogue about your unique financial situation. Seeing where your money goes on a monthly basis is an imperative first step. After that, you’ll work with a counselor to decide the best road for you to take. In many cases, the budget analysis can make major headway in solving the problem. In some cases, additional education and guidance is required. The N.A.D.E.A. Community Outreach & Education team wants to partner with you to offer financial educational content to your clients, constituents, students, members, employees, counselors and social managers or anyone else who may benefit. The educational programming is delivered to institutions or organizations in a presentation, seminar or workshop format in which N.A.D.E.A. will do a one-time workshop or can create a series of educational workshops and content on a monthly or quarterly basis. N.A.D.E.A. does not charge for these workshops or programming. Interested in learning how to work with a budget? We provide our clients with educational courses involving creating your own month to month budget and how to stick to it. Developing a budget is one of the best steps a person can take in reaching their financial goals. 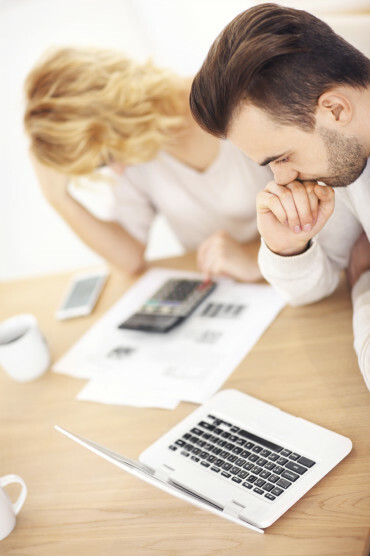 Creating a budget is no easy task, especially when financial emergencies arise. We will give you the skills you need to implement your monthly budget and successfully manage your budget for years to come. N.A.D.E.A. provides budgeting help to individuals, communities and groups. Read more here. We have several Certified Financial Counselors ready to guide you in a debt management program, which is based on your debt levels and current personal income. At N.A.D.E.A. we will work with you to come up with an affordable payment, which you will give us each month. Once we receive your payment, we disperse the payment to all creditors, making sure everything is received on time so you do not go further into debt! Because we have support from nearly all major creditors, we have helped clients lower their interest rate and reduce late fees on their accounts. N.A.D.E.A. designs options to assist you with your unique financial situation. So what are you waiting for? Get a Free Consultation Today! Our mission is to inform, counsel, educate and prepare American consumers to be good stewards of their income, savings and spending habits. Our goal is to provide consumers with the tools necessary to assist in comporting themselves both privately and in the public marketplace in a financially responsible and safe manner.